Listen to Glen Shulfer’s latest song in support of our great Wisconsin Governor, Scott Walker. If Ron Paul supporters wonder why people call him a nut, this is a pretty good example. This clip shows that he is either a 9-11 truther or he wants the truthers to believe that he is. You can find other kooky remarks that he has made to supporters when they question him privately. I would hope that he’s just pandering, but I fear that he actually believes much of it. Just look at how evasive he is. This is the guy who claims to be totally direct and consistent. 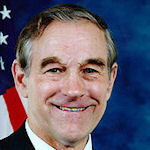 Here’s another clip with Ron Paul denying that he is a truther in a debate. 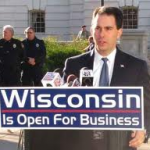 Unions are bringing scores of democrat and union operatives into Wisconsin in an effort to recall Governor Scott Walker because Walker’s reforms have saved the taxpayers money at the expense of union bosses and their democrat cronies. Governor Walker’s reforms have taken Wisconsin from a 3.6 billion dollar deficit to a surplus. Wisconsin is now on the road to economic recovery, but the unions are seeking to turn the clock back and derail the recovery. Unions are destroying Illionois, and they must be stopped before they succeed in destroying Wisconsin too. 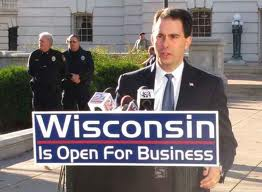 Help support Governor Walker and the republicans in Wisconsin by visiting standwithgovernorwalker.com. Liberal Occupy Protesters Invade BlogCon 2011, Get Owned! The occupiers get occupied and surrounded by conservatives. Plus a fat, stinky, female hippy shoves Steven Crowder. Arrests and hilarity ensue!